Back at the start of June we broke the new offer from Marriott that awarded 1,000 miles for just joining the program and double miles on all stays for 90 days. Well the offer was quickly pulled due to overwhelming response because of the free miles. We now see it return without the sign up bonus of course but now when you join Marriott Rewards via the special link below you'll earn Double Miles on all your stays in any one of 9 airline programs. For most of us here in Canada Aeroplan or BA Executive Club make the most sense but there are seven other airlines to choose from as well. 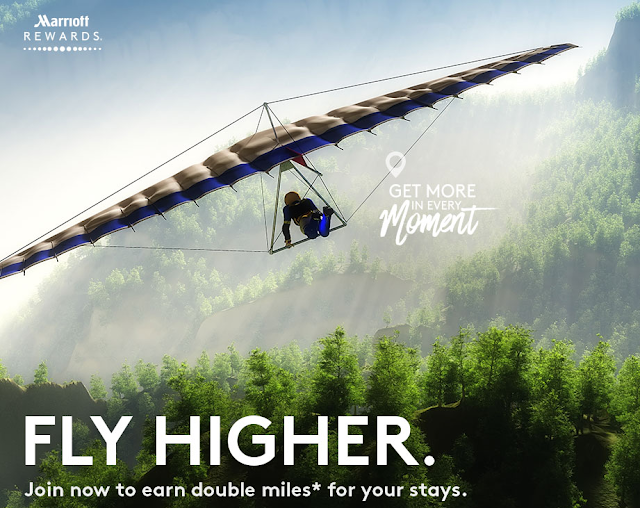 If miles aren't your preference remember there is always the Marriott New Member Bonus where you can earn a free night at a category 1 – 5 hotel after your 2nd paid stay at any Marriott Hotels Worldwide.